Nina Amir is a nine-time Amazon bestselling author of such books as How to Blog a Book and The Author Training Manual. A speaker and blogger, she is known as the Inspiration to Creation Coach because she helps people combine their passion and purpose so they get inspired. This helps them move from idea to inspired action and positively and meaningfully impact the world and their lives. She works with writers, bloggers, authorpreneurs, blogpreneurs, entrepreneurs, creatives, athletes, and just about anyone who wants to create something new. Nina is one of 300 elite Certified High Performance Coaches in the world. She helps people from all walks of life level up their physiology, psychology, productivity, persuasion skills, presence, and purpose. Those who work with her achieve heightened and sustained levels of clarity, courage, energy, productivity, and influence and move closer to fulfilling their potential. She also provides Author, Book, and Blog-to-book services to her clients, some of whom have sold 300,000+ copies of their books, landed deals with major publishing houses and created thriving businesses around their books. She is the founder of National Nonfiction Writing Month, National Book Blogging Month, and the Nonfiction Writers’ University. As a hybrid author she has self-published 17 books and had as many as nine books on Amazon Top 100 lists and six on the same Amazon Bestseller list (Authorship) at the same time. Her newest book, Creative Visualization for Writers, will be released by Writer’s Digest Book in October 2016. Nina Amir has produced 9 Amazon bestsellers and had as many as 6 on the same Amazon Top 100 list at the same time. She has self-published 17 books. She has three traditionally published books. 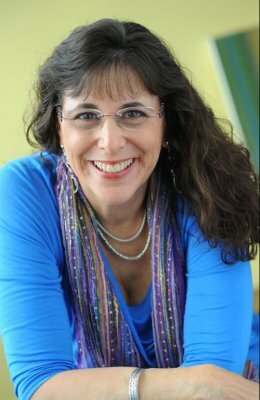 Nina Amir is a popular speaker at writing events as well as business and personal development events. Nina Amir writes and publishes four blogs, several of which have won awards. 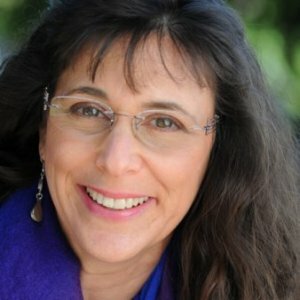 She blogs about personal development, high performance, practical spirituality, conscious creation, blogging, blogging books, author platform, publishing, nonfiction writing and publishing, and authoring change. She is one of 300 elite Cert. High Performance Coaches in the world, all of whom were trained by Brendon Burchard. This lecture will discuss how fear prevents us from achieving our highest potential and immobilizes us on the path to our dreams. No matter how much or how little fear we experience, to some extent that fear stops us from living our lives fully and creating the life we desire. Learn how high performance can help you live more fully and achieve your potential. Discover the six pillars of high performance: psychology, physiology, productivity, persuasion, presence, and purpose. In the process, level up your clarity, courage, energy, productivity, and influence personally and/or professionally. The average book today sells only about 250 copies per year and 3,000 in its lifetime. Improve your odds of becoming a successful author by producing a business plan for your book before you write a word. As you do, you develop an Author Attitude, craft a marketable book idea, and evaluate your idea and yourself through an acquisitions editor’s lens. You also develop a career plan to help you reach your goal: successful authorship. Learn how to determine if your book is not only a great creative idea but also marketable product—a viable business venture. Go through the Author Training Process, the foundation for creating books that sell—to publishers and to readers! This nine-step evaluation tool helps you determine if your book is ready to go to market—to be shopped to agents, publishers or readers—and if you are ready to become an author. This session is appropriate for fiction writers and for nonfiction writers and for writers planning to self-publish or traditionally publish. Rather than just blogging and then repurposing your posts into a book—called booking a blog, learn how to purposefully write, publish, and promote a book on the Internet using blog technology. Blogging a book is the easiest and quickest—and most efficient—way to write a book and promote it at the same time. If you can write, you can blog. That means you can blog your way to creating a successful book—one that attracts readers and publishers. It’s possible that your personal story, life experience or wisdom could form the foundation of a book that inspires change in people’s lives, in organizations or in the world. In this session you will explore the three steps necessary to become an Author of Change: (1) author of change in your life, (2) author of change in the world and (3) author of a change-inspiring book. This session is for you if you feel your writing (or life) has a purpose or mission and you want to find out if you are an Author of Change.